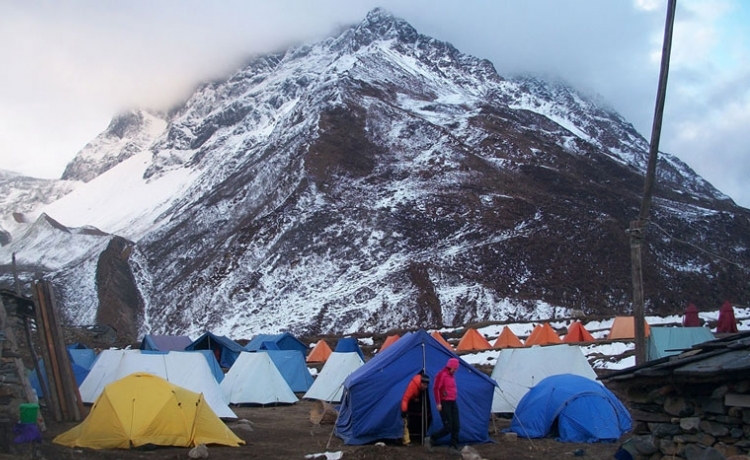 The stunning Mountain View stretching from 375 m to 5,300 m, a diverse range of eco-system and ethnic cultures, physically close than to any other treks in Nepal is Manaslu Trekking. 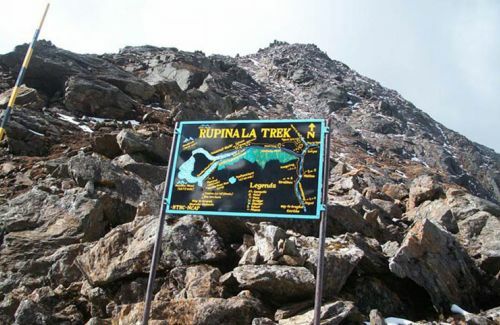 The 177 km trek around Manaslu Region is a unique opportunity to experience an untouched part of Nepal. 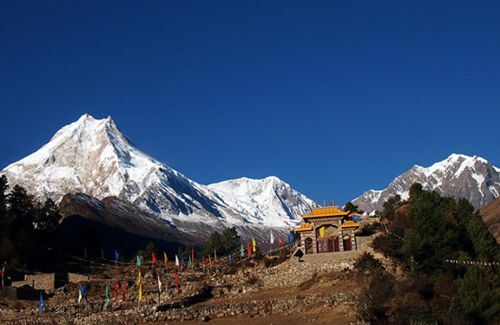 Manaslu Trek begins from the historical city Gorkha Durbar, probably the most famous fortress site in Nepal and was the ancestral home of the Shah dynasty, walking down the backside of the ridge, the great view of Manaslu Massif can be seen across the northern horizon. 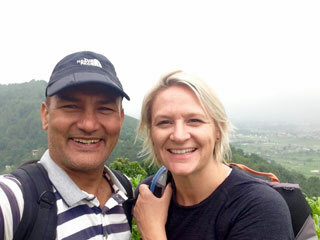 After passing many Brahmin – chhetri villages, many days are spent negotiating the trails along the Budhi Gandaki River. Waterfalls intersecting the rocky hills and dense forest seem amazing as if there is nothing else to distract. 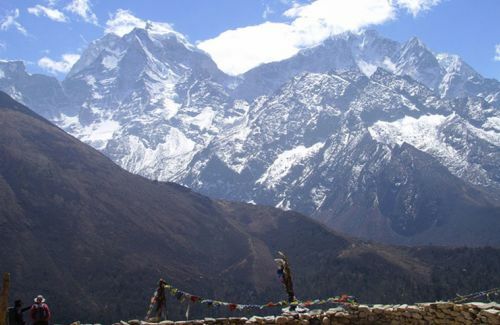 Crossing the wooden bridge, walking through a lovely forests of pine and conifer trees, one can reach to different sphere of Tibetan – Gurung mix community where there is the beautiful stretches of Mani walls begin to line the trails. 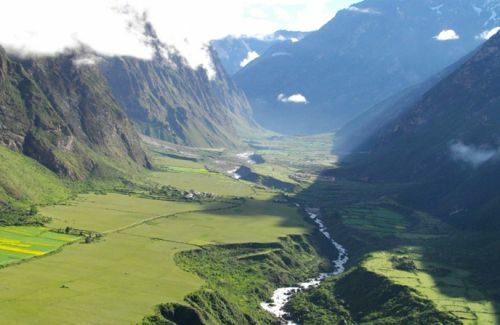 The meadow area of Shala (3,450 m) offers breathtaking views of Phungi, Manaslu, Ngadi and Himalchuli. 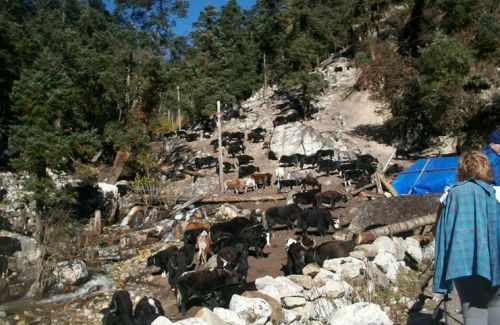 Sama Gaon is very Tibetan – like with yaks grazing and many horses roaming around. Samdo is another Tibetan village of winding walkways and snugly built shelters. Crossing the Larkya La (5,250 m) takes two days. Descending the pass is not easy, and camp to Bhimthang Valley (3,700 m), an enchanting meadow and the trail to tranquil pine and rhododendron forest adds an extra flavor on the excellent view back to Manaslu. 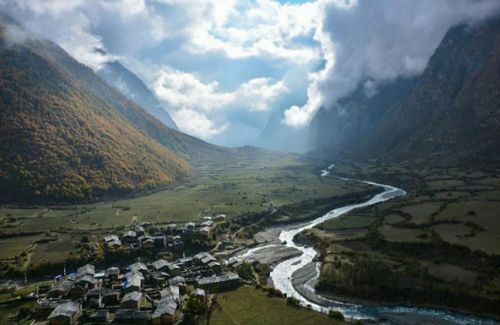 The Gurung village of Tilije is another charming spot. The village of Tal is a restful place for a lunch where there is graceful waterfall. The village of Jagat boasts hot springs for tired, sore legs. Finally the trail to Beshishahar, walking through the quiet rice terraces takes you to the memories of brilliant snow peaks and cold weather of the high altitude pass.